Hey guys!!! It’s been long since we talked about food up in here. As a certified foodie, I have an obligation to let you know about the best and affordable places to get your food especially this weekend. Over the weekend I was at J’s fresh Bar in Karen. I had an interesting food conversation with my friends. They asked me what my favourite food is and without hesitation I was like “chapo and chicken! By the way I can eat chapo with anything. Chapo nyama,chapo pork, chapati kuku, chapati madondo, chapo githeri, chapo chai,chapo cabbage, yaani tuseme tu chapo anything or even chapo plain. I actually think what I have not tried is chapo ugali hahah. The next question was “what have you had for Lunch? My answer was Burger and fries!! And that is when it really hit me that I am actually a burger addict. Most of the time I have hang out with them, they find me eating a burger or craving for one. So guys I accepted myself as a Burgermaniac/burger addict and decided why not tell you where I have had my burgers from so that y’all can go and try them out too. It is end month so I know y’all are pretty much loaded. 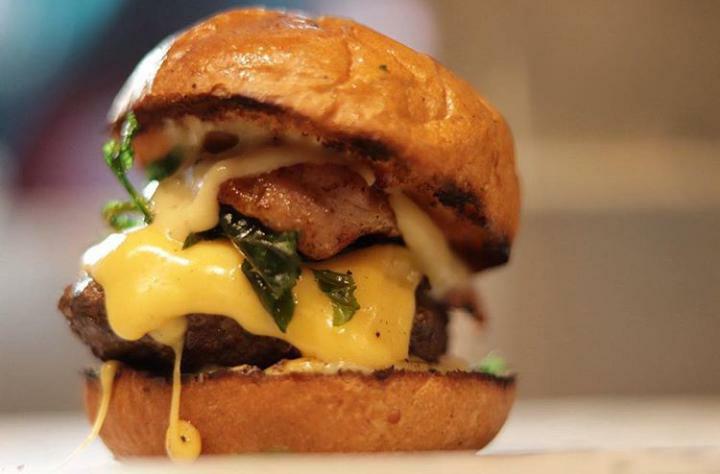 Take your bae out and treat them to some mouth watering burgers from some of my favourite joints in Nairobi. I have not exhausted the list as I only opted to do only ten restaurants. 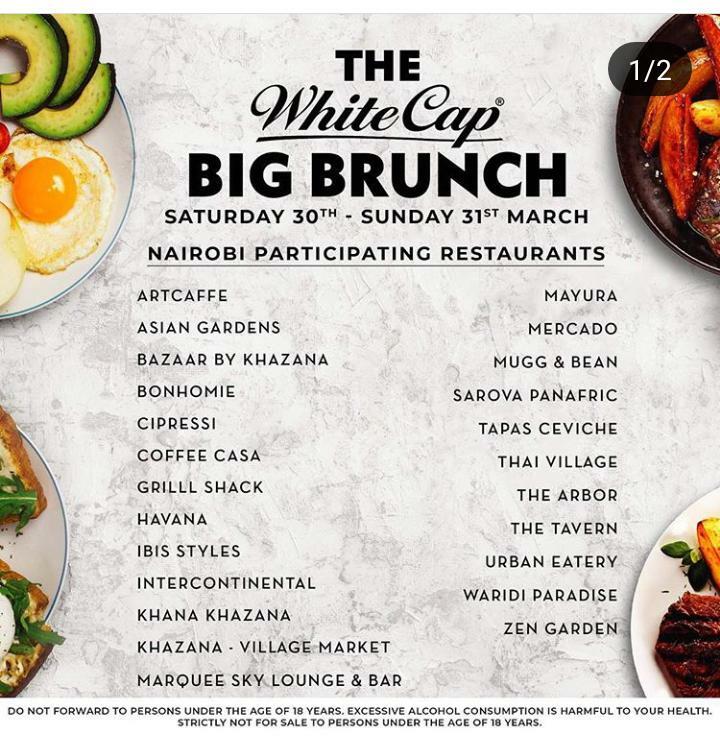 I have visited and had burgers in most of this restaurants and some are from the suggestions I got from my instagram a few weeks ago.This weekend on 30th and 31st March, Eatout Kenya is having the famous White Cup Big Brunch in most restaurants and it is not something you want to miss out on. 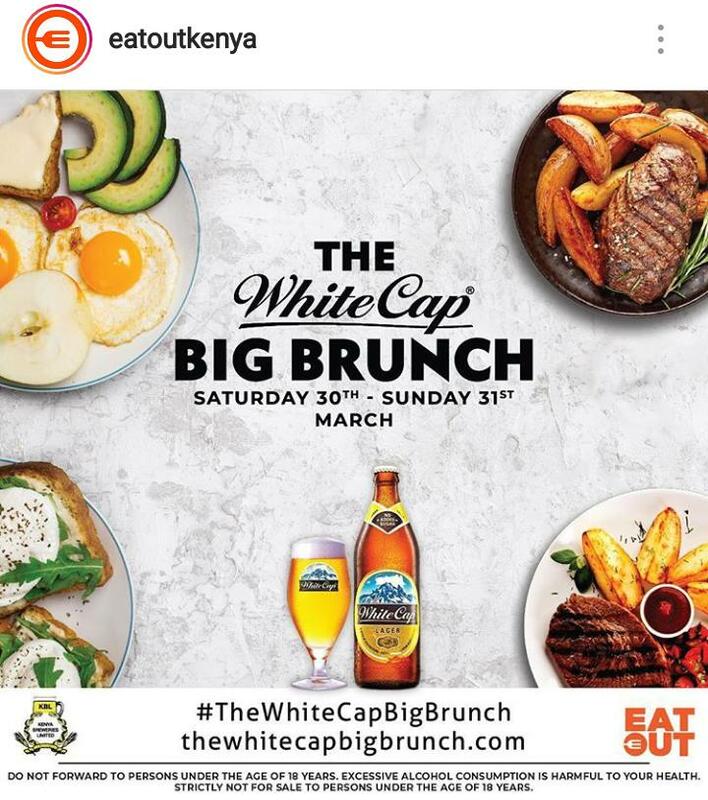 On every brunch menu you choose, you get a complimentary white cap lager. Coastal people you are also sorted. I think by now you all know that this is my to go to burger joint of all times!! Their burgers are massive, tasty, juicy and affordable. 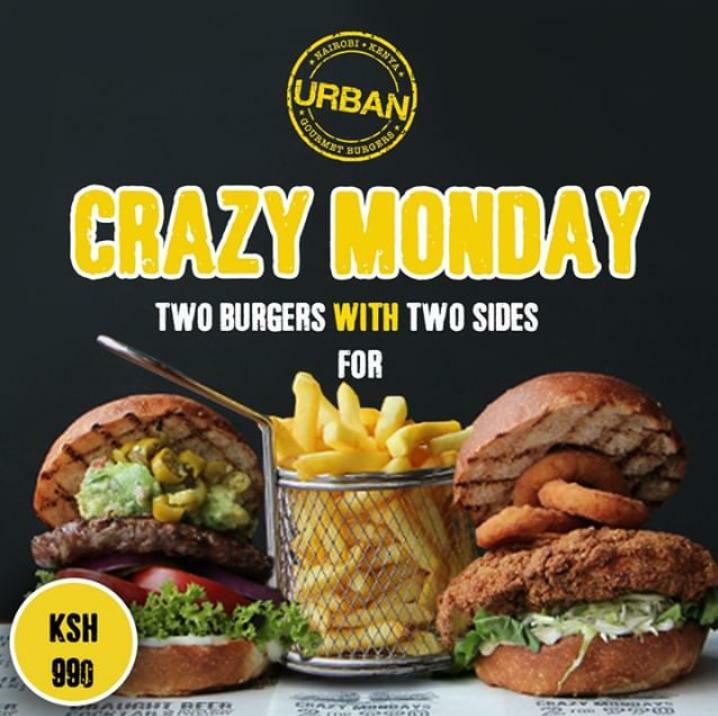 Furthermore they have this amazing offer to chase away your monday blues with two burgers at only 990 shillings!! You guy my guy 990 shillings for two burgers, two fries/onion rings and two salads issa steal deal!! This offer does not compromise on the quality of the food or service. My favourite branch is the one at Prestige Plaza Ngong Road. 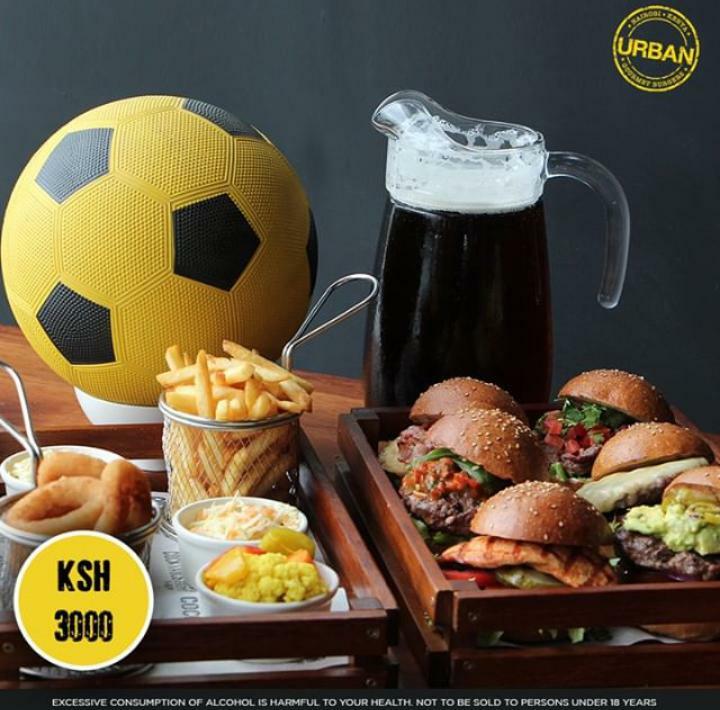 They also have a soccer combo for 3,000 shillings where you get 6 burgers, 2 sides and 2 litres of craft beer.They also do deliveries and I really love their packaging. This is also one place that serves a generous amount of food especially when it comes to Burgers. Recently, they started having a Monday offer where you can get two of your favourite burgers at 1,100 shillings. I like Charlie’s because they have amazing service most of the times and their decor is just amazing plus it is in the CBD. Easily accessible. I have never been able to finish any of their burgers so that can tell you how big their burgers are. They do deliveries as well. They specialize fully in burgers and fries. Their sweet potato fries are to die for. I also love their plantain fries. 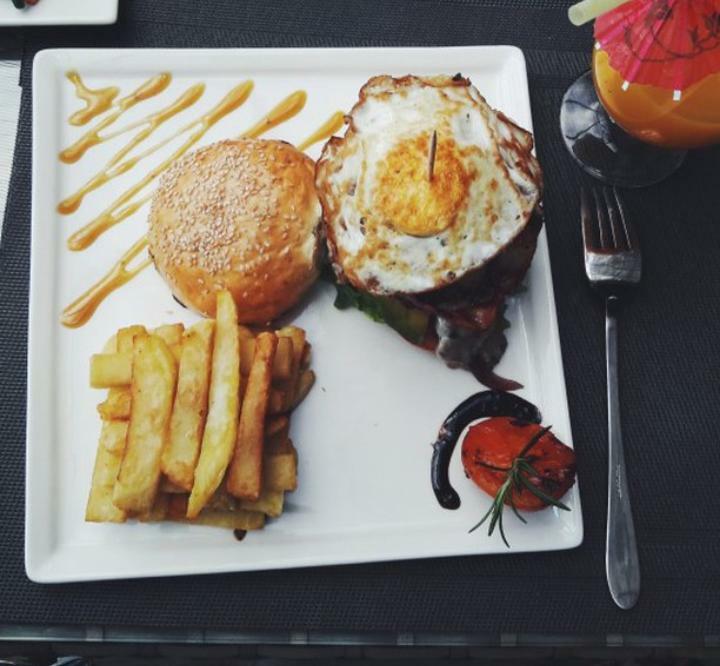 My favourite burger is the mango maasai mama and it goes for 950 shillings. It is super juicy. They have two branches. One at The Alchemist in parklands and another one at Argwings Kodhek Kilimani. You can also order online as they do deliveries. They also have amazing cocktails. I think this is the to go to place for sunday brunch! They always seem to have amazing events and offers . They have two branches, one at ngong road and another one in westlands. On Tuesdays they have “make your own burger” offer which also includes getting another burger for free. More like buy one get one free but you are the one who chooses what to be put in your burger. I also fell in love with their mini burgers as they were really soft and juicy. 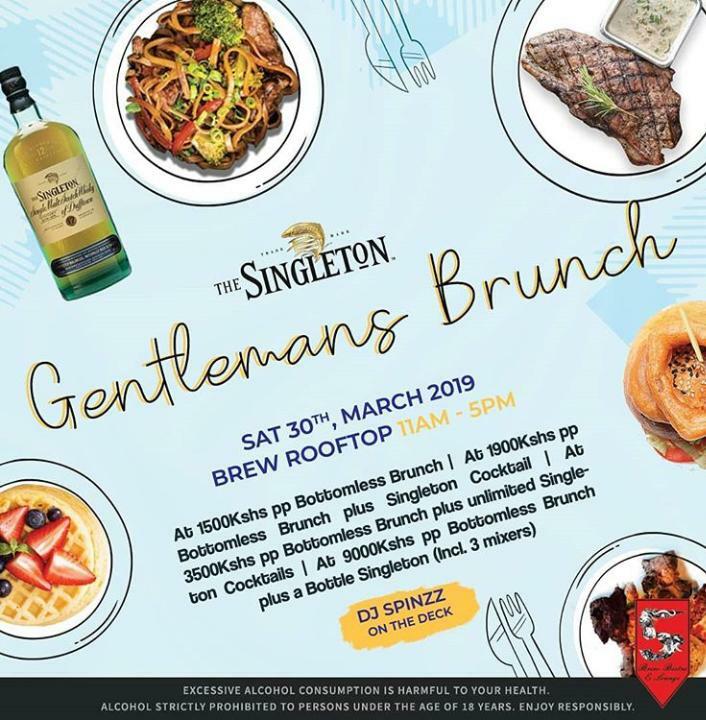 This weekend they have the Singleton Gentleman’s Brunch so gather your boys for this. I have had burgers at this joint twice. At their previous location in Karen and also the one in Karen. The size is quite big but I found their burger abit dry which they said they will improve on especially the bread. Their fries are also large and tasty. What I loved especially with their new location at Karen Shopping Mall is the Jazz Band that plays there every sunday afternoon. This is something that will have me going back and the ambience. The staff are also really cool and they have fast service. They have another branch in westlands. This is a great spot for a Sunday afternoon and it is also family friendly so you can bring your kids too. This one is just outside my workplace. It is my go to place for a quick tea/coffee fix before I go home or get to work. 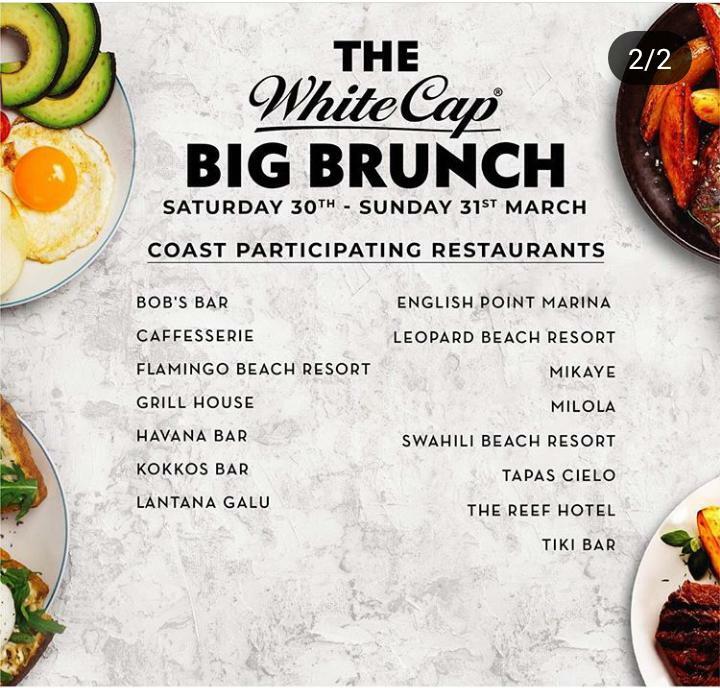 They are also participating in the big brunch particularly the one at Village Market as it the biggest and also with the most elaborate menu. The other ones at petrol stations are quite small and they serve only to go pastries and beverages. Their burgers go for 250 shillings but I would advise you to go and try the ones at village Market because they are bigger and have more content than this other plain ones. Their muffins are amazing!!!. How can this not be in the list??? They have really juicy burgers too and they come as meals that is including fries or you can just order a plain burger. Their portions are not really that big but the burgers are totally worth it. They now have two branches in the CBD so you don’t have an excuse for not trying out their melas. Also make sure you try their mega shakes. 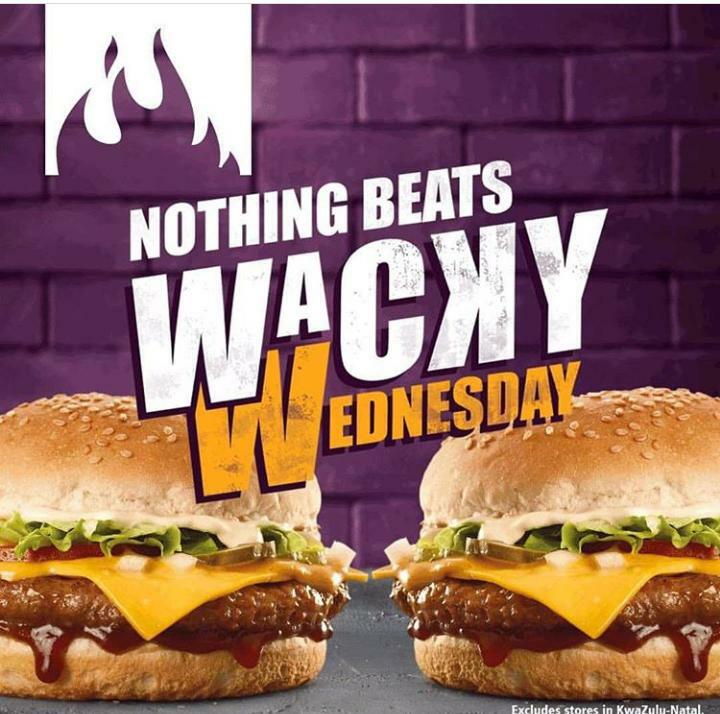 If you ever went to do computer packages or let me just say if you ever schooled in Nairobi town and you never went for Wacky Wednesday at Steers you wasted your school fees. This was always the plan for every Wednesday. You buy one burger get one free. The burgers currently go for 350 shillings for two. They are absolutely worth it. You can have extra cheese at only 50 shillings. This is one is in my bucket list. This restaurant has been popping up on my timeline for ages!! 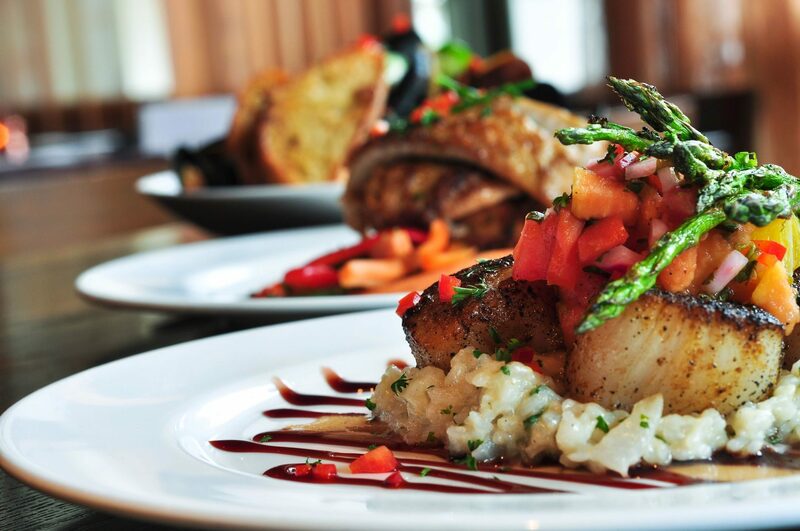 It is a high end restaurant and Lounge with three branches in Nairobi. One at Riverside, another at statehouse lane and the new one at Muthaiga. 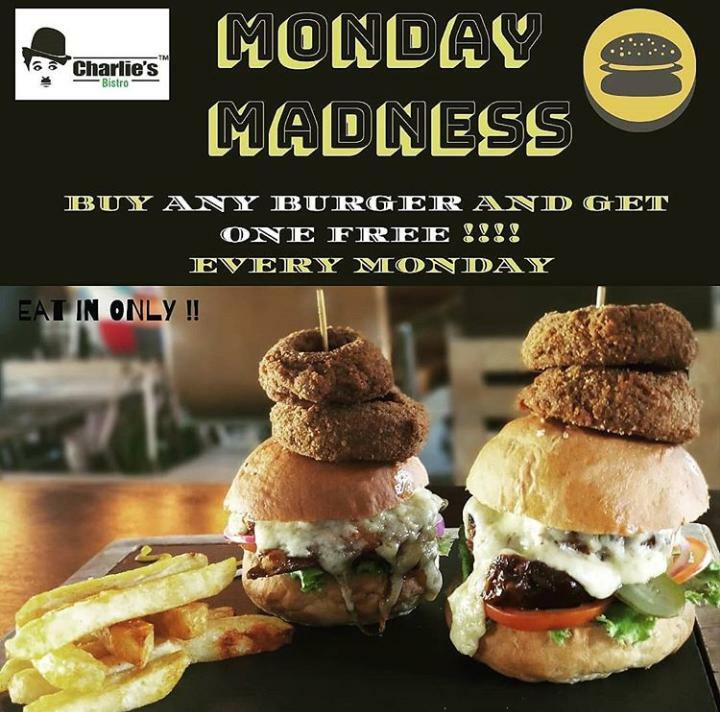 They have a Monday offer where you buy one burger and get another for free (BOGOF) at 1,550 shillings. From the look of things, it seems that their burgers are juicy and the place looks beautiful. So just be on the lookout for my insta stories as I will bring real time feedback in a few days if not this weekend. 10. Tav Irish Pub and Eatery. This is also one of the places you guys recommended.It is located at The Mirage, Chiromo Road in Westlands. I have not been here but I am planning to give it a try. Their burgers look really huge unless the pictures and videos I have seen are lying. 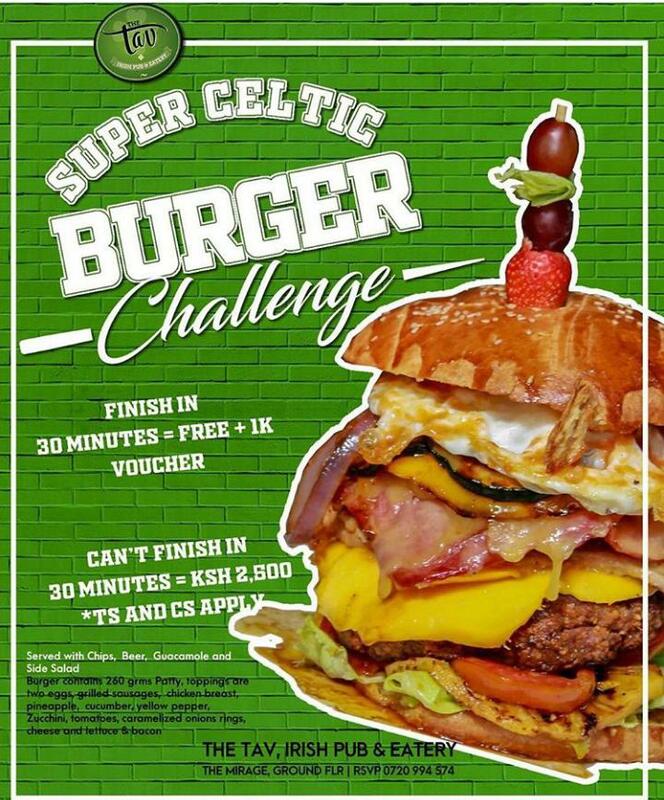 What I want to try is their Super Celtic Burger Challenge. 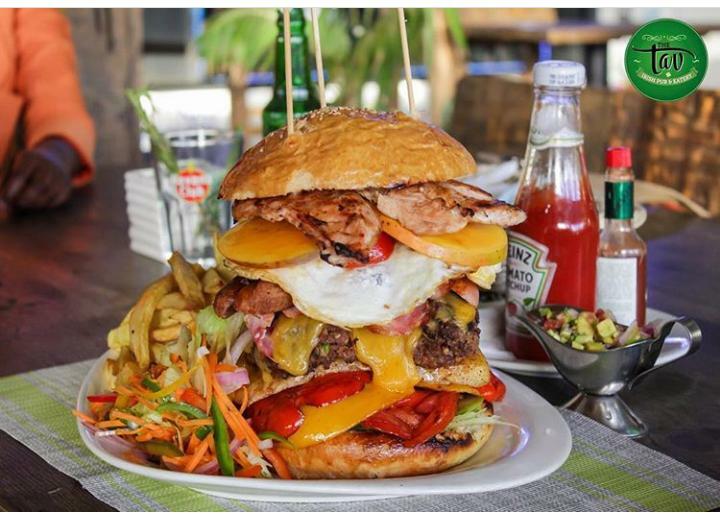 In this challenge,you have to finish a whole burger containing 260 grams of patty, two eggs, Grilled sausage, Chicken breast, Pineapple,cucumber, yellow pepper , zucchini, tomatoes, caramelised onion rings, cheese, lettuce and bacon served with chips, beer, guacamole and a side salad in 30 minutes!!! If you finish all this in less than 30 minutes, you get to have that meal for free and you get 1000 shillings voucher to purchase anything from the place. If you don’t finish in 30 minutes, you pay 2,500 shillings for the whole meal. I think this is fair. Who is up for this challenge we go and show this people that we don’t play when it comes to food??? Hit me up we do this. But carry the 2,500 shillings just in case we don’t finish the meal hahaha.